The Syrian Democratic Forces said it captured five ISIS terrorists during "Jazeera Storm;" two of them are believed to be Americans. HOUSTON, Texas -- The Syrian Democratic Forces said it captured five ISIS terrorists during "Jazeera Storm." Two of those accused terrorists say they are Americans. Warren Christopher Clark, also known as Abu Muhammad, is originally from Houston, Texas. It's unclear at this time which state the other American, Zaid Abed al-Hamid, also known as Abu Zaid al-Ameriki, is originally from. 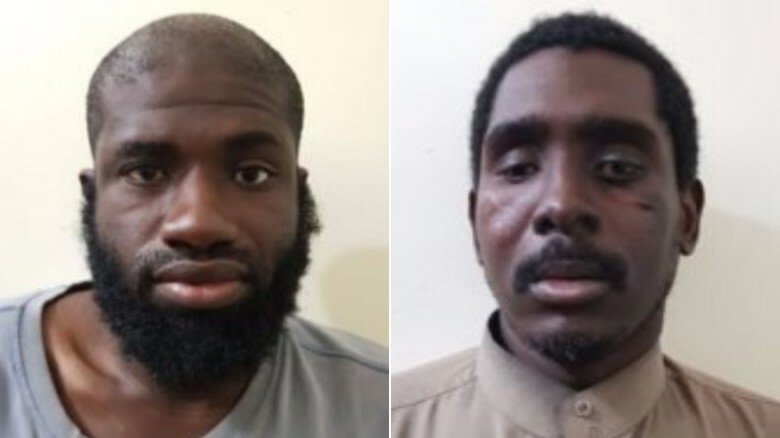 Americans Warren Christopher Clark, left, and Zaid Abed al-Hamed are suspected of being ISIS fighters. Clark has been on the radar before. Seamus Hughes, deputy director on the Program of Extremism at George Washington University, has been tracking Clark for a couple of years. A spokesperson for U of H says that while they can't confirm it's the same man, a Warren Christopher Clark, born in October of 1984, earned a bachelor's degree in Political Science and minored in Global Business in 2008. A spokesperson for Fort Bend ISD said they couldn't confirm that as of Sunday, but will check during business hours on Monday. "Some go to avenge the Assad atrocities, some are drawn to the ultra-violence and some like Mr. Clark are interested in building this so-called Islamic state," said Hughes. Clark's future is unknown tonight. We should know this week if he will face charges in the Southern District of Texas and be brought back to the U.S.